My featured guest today Mike Knocks from White Harvest Seed Company is here to tell us about heirloom seeds. waited till I was 40-45 cause it’s a lot tougher. Well I love that because a lot of my listeners are millennials so you’ll inspire them to start now! I loved eating the fresh produce but I hated the labor! My mom probably rolls her eyes thinking how did my daughter get a gardening show she hated the garden, of course I don’t do a lot still, Mike does most of it! I have to back up. What are some of these places you go speak at? We go to the Lawn and Garden shows in early winter, spring time. most big cities have a lawn and garden show where vendors come in show all the fancy sites to look at. If any Arkansas, listeners well be in Conway Arkansas. So people that go to these shows want to learn about seeds? grocery stores gonna be out of food. so many things going on in the world… good to be prepared! I love the millennials who are gonna bring peace in the world, I’m really optimistic. But Mike and I lived off grid for 6 years when we started out, we still use our outhouse, the only reason we put in power was because our neighbor brought in power when we put the well and plumbing in and the cost dropped form $10k to $2k. My mom laughs because at the turn of the century in 2000 we got power, cell phones and computers and satelitte etc. I can’t stand the thought of doing it again without a fridge but as long as I have that I could go again with water on the property. That’s been recommended and we’ve never done it. People talk about boron or gypson. Was it Eliot Coleman found out that boron was missing? I’ve been wanting mike to do it. You’re not making all different samples you’re putting it in one container right? if you have to do it just depends state to state. That’s awesome. If you can just take it in, I’m gonna check the conservation office, is that the extension office? Because that’s been one of the reasons I haven’t done it because you have to get the jar and mail it in… if I can just drop it off that sounds easier. condense down and make it more applicable to take care of on a smaller basis or put more fences up to keep the buggers out. spray that on your garden once every 2-3 weeks. onion sprouts they almost grow overnight…. Are you having any kind of droughts? I ask that is because talking with old timers. put them out something to drink. Our place is like a sanctuary and just the other day I had a neighbor shooting in the afternoon and were in the middle of fire season… but the old timers around here definitely agree the fence for the deer. growing had a decent season in sense of weather. Then when you have your dirt all tilled up and ready to use. Weeding is definitely one of those activities people struggle with, where when it gets so overwhelming this thing is gonna come in perfect! make it inside my favorite activity is eating cherry tomatoes. Tell us about your seed store. 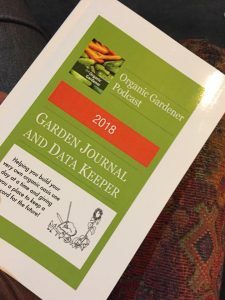 I have a lot of new listeners if they are new to gardening what’s an heirloom seed and abut your store. year after year it will constantly be that seed. I’ve asked a lot I haven’t really understood, but the fact that it reverts back, that finally makes sense. You have all sorts of things on your website. Is that what’s growing there? The seeds? heirlooms have to have isolation distances between things. If they give me the right answer which is of course no. Not only your money, but your time as well, if you put seeds in the ground and they don’t grow where we are there’s just that one window. A lot of my listeners are interested in becoming a seed farmer what would you tell them to do to start? looking into becoming a seed grower they should just contact us. We don’t like using seed that’s grown with gobs and gobs of pesticides on them. sitting at the farmer’s markets their stuff looks pretty nice. I just want to back up a little. Is there anything that you do different to grow for seed then you do for vegetables? Is there a different process? That questions has a multi-answer. that is in the same family as a carrot if you have it growing near anything. how can that be done then? One thing spinning in people’s heads. Where are you putting your property if you don’t have property yet. Especially if youre growing for yourself. Sweet corn is Awesome too! rewards are so much rewarding! The guy who taught me how to podcast John Lee Dumas went to law school for one year and he said, in a court of law, an expert is someone who knows more then everyone else in the room so you probably are an expert most of the time! so many negatives about that just for the human health part of it. So many terrible results on a health basis. On that side on the growing and the gardening side I’d say that. There were some seed saving communities building seed banks and the government went in and were calling them terrorist organizations and that’s got to stop! Some people close to me started a local Seed Library. Have them to contact us before the next seed swap and we should be able to donate. Remind them that I talked to you. Well people are interested. I was there the first year, they expected 350 people and 1500 people showed up. There were 500 flyers and they were gone before it even started at 10 oclock in the morning! 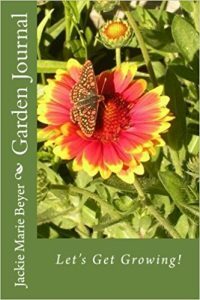 Or Plain Blank Garden Journal Today!